The chloroplast is the green plastid in land plants, algae, and some protists. 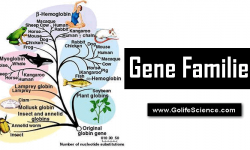 As the site in the cell where photosynthesis takes place, chloroplasts are responsible for much of the world’s primary productivity, making chloroplasts essential to the lives of plants and animals alike. Agriculture, animal farming, and fossil fuels such as coal and oil are all “products” of photosynthesis that took place in chloroplasts. 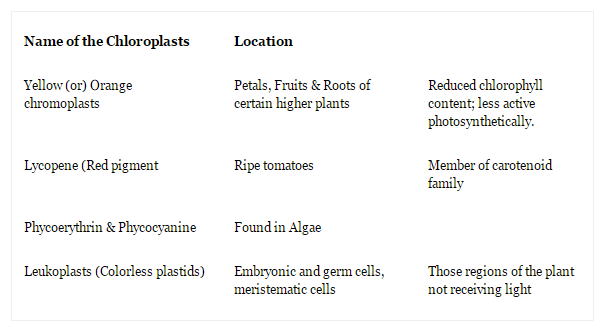 Other important activities that occur in chloroplasts (and several non-photosynthetic plastid types) include the production of starch, certain amino acids and lipids, some of the colorful pigments in flowers, and some key aspects of sulfur and nitrogen metabolism. In 1883 “Schimper” first used the term “Plastid” for special cytoplasmic organelles present in eukaryotic plant cells. The common name of the chloroplast is “Natural Pressure Cookers”. All eukaryotic organelles with photosynthetic capabilities have chlorophyll-containing organelles called “Chloroplasts”. 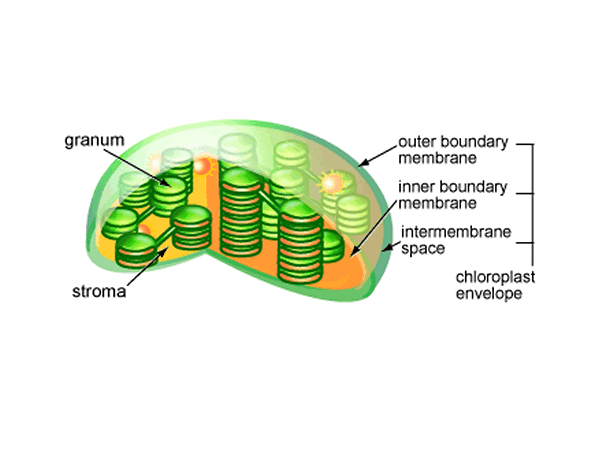 Chloroplast organelles are “Semi-Autonomous organelles”. In addition to chloroplasts, other colored plastids may be observed. (Chromoplats). In a green leaf, a single palisade cell contains approximately 40 chloroplasts. Each chloroplast is about 5 to 10µm in diameter and about 2 to 3 µm thick. Chloroplasts, like mitochondria, are very special organelles; these are formed from pre-existing organelles. Chloroplasts have a heterogeneous structure made up of small granules called “Grana”, which are embedded within the stroma (or) Matrix. 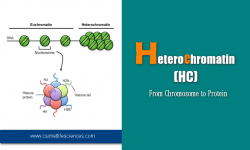 It is made of a double limiting membrane across which the molecular interchange with the cytosol occurs. 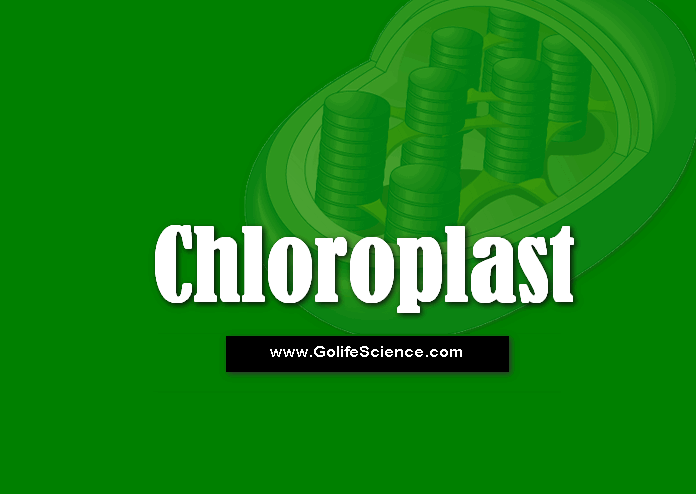 It fills most of the volume of the chloroplast and is a kind of gel-fluid phase that surrounds the thylakoids. 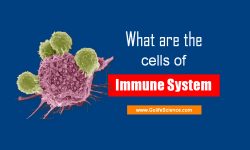 It contains about 50% of chloroplast proteins & most of these are of the soluble type. It has ribosomes & also DNA; both of which are involved in the synthesis of some of the structural proteins of the chloroplast. The stroma is where CO2 fixation occurs & where the synthesis of sugars, starch, fatty acids & some proteins takes place. It consists of flattened vesicles arranged as a membranous network. The outer surface is in contact with the stroma, and its inner surface encloses an “intra-thylakoid space”. Thylakoids may be stacked like a pile of coins, forming the “Grana” (or) they may be unstacked (stroma thylakoids), forming a system of anastomosing tubules that are joined to the grana thylakoids. The number of thylakoids varies from a few to 50 (or) more. The Molecular organization is largely based on the fluid lipid-protein mosaic model of the membrane proposed by “Singer” and “Nicolson” in 1972. This basic concept includes several fundamental properties like fluidity, Asymmetry, Economy. The thylakoid membranes have chlorophylls, carotenoids, Plastoquinones. There are also structural lipids, which are mainly Glycoproteins, Sulpholipids & a few phospholipids. Most of the structural lipids are highly unsaturated, which confers to the thylakoid membrane a high degree of fluidity. 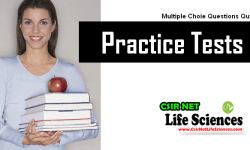 What are the importance of Enzymes in disease Diagnosis? 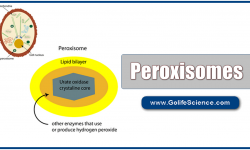 What is the Structure and Importance of Peroxisomes in both plants and Animals? 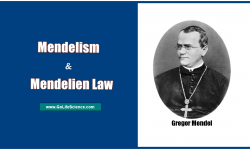 What is Mendelian Law and Mendelism?